National Bridle's experienced staff has proudly served the equestrian and gaited horse community for over 67 years. We are family owned and operated, and many of our products are still manufactured in our facility in Shelbyville, Tennessee. 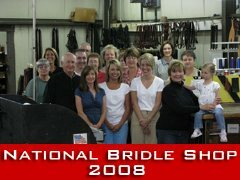 Over the years, the name "National Bridle Shop" has become synonymous with gaited horse equipment. 1-800-251-3474. Any one of our friendly and knowledgeable staff will be able to help you before or after you purchase our products. Products that are either handmade, or hand picked. Guaranteed. We are pleased to offer a broad selection of products to make it easy for both horse and rider to hit the trail, or enter the show ring. 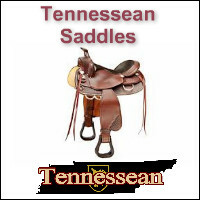 Saddles, Stable and Barn Supplies, Miniature Horse Supplies, Riding Apparel, Tack & Training, Driving Supplies, and our exclusive Tennessean Saddles , Gary Lane Saddles and Ortho-Flex Saddles- which are designed to fit today's gaited horses are just a few things that are a click away. Over the last 60 years we have seen every kind of breed, product and problem and we are more than happy to share that experience with you. Whether getting a good fit for your saddle so both you and your horse are comfortable, or making sure you look your best in the show ring, we will do whatever we can to make your experience with National Bridle Shop a pleasant one. We pride ourselves on friendly, personal service. We are not happy, unless you are happy. A local tack shop on the internet. As you can see, we've weathered a number of fashions, hairstyles and economic upturns- and downturns. We plan on being around for a few more too. While we've been on the internet since 1998, we are still looking to improve and provide as good a service to you on your computer, as we would if you walked into our store. If you have any suggestions on how we can make your shopping experience at National Bridle any better, please do not hesitate to email us at nbs@nationalbridle.com. We would love to hear from you. 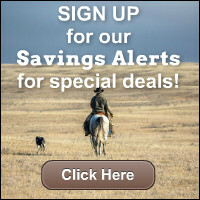 If you would like us to keep you informed on National Bridle's produces, please sign up for our newsletter and catalog to get the latest information on our products and deals. 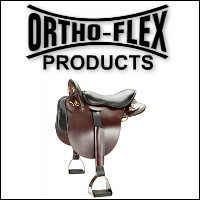 Thanks for visiting National Bridle Shop online. We certainly appreciate your business. Next time you are in Shelbyville, TN, please stop by and say hello. National Bridle Shop is excited to be partnered with Gaited Horse Clinician, Gary Lane. Most people that have been to one of Gary's clinics will tell you that he is by far the best Gaited Horse Clinician in the United States. He makes appearances from coast to coast and is featured at Equine Affaire events and always gets huge crowds. National Bridle has teamed with Gary in order to offer the latest and greatest Gaited Horse training equipment and Saddles on the market. National Bridle will be featuring Gary's ideas and training techniques at its GEP (Gaited Education Portal) here on the NBS website. We look forward to having Gary in our retail locations for a number of events. Be sure to visit our website often and watch for dates and times of Gary's next visit. For many years NBS CEO, Bobby Beech has improved the NBS product line by working with some of the best saddle makers and equipment experts as well as genuine saddle fitters in the business. His no nonsense approach to providing proven, quality products has made him an icon in the Gaited Horse World. National Bridle is committed to Bobby's approach when it comes to research and development. No Gimmicks, just quality products that work. That is our commitment to you!